Cinnamon and squash is a classic pairing, and roasting the squash with olive oil and fresh herbs is another. But here’s a type of seasoning you might not have considered with squash before: curry powder. 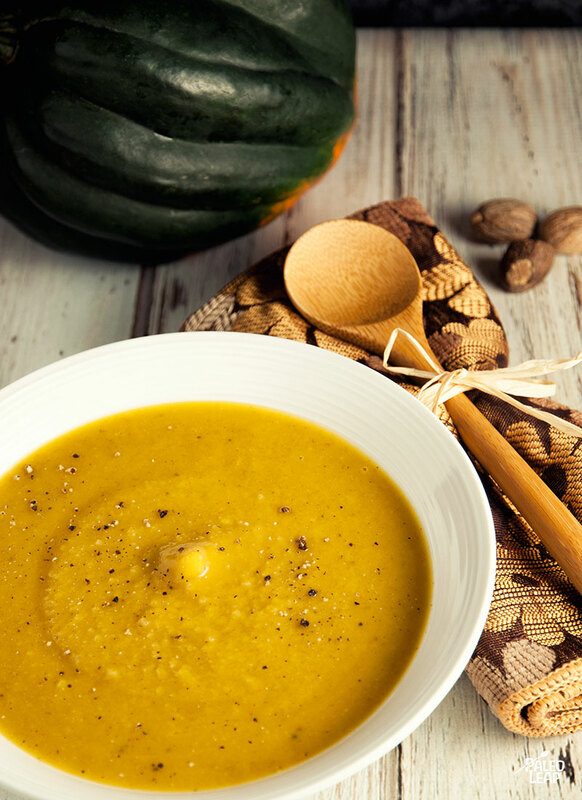 Curry has a rich, full-bodied heat that goes perfectly with the squash: if you’ve been craving dal or any other kind of warming lentil soup, this is a delicious and healthy substitute. This one is perfect for making right now (get the squash while it’s cheap!) and freezing for later. Here’s a tip: if you’re going to freeze the soup, first let it cool in the fridge and then pour it into plastic freezer bags to put in the freezer. This cuts down on the amount of freezer space devoted to packaging, and also makes the soup a lot easier to store: you end up with flat, stackable frozen blocks that let you pull out just one serving without having to reheat the whole batch. Serve this soup over roasted cauliflower (or cauliflower “rice”), or try it with a few strips of chicken on top and a leafy side salad as a light meal. SERVES: 4 PREP:20 min. 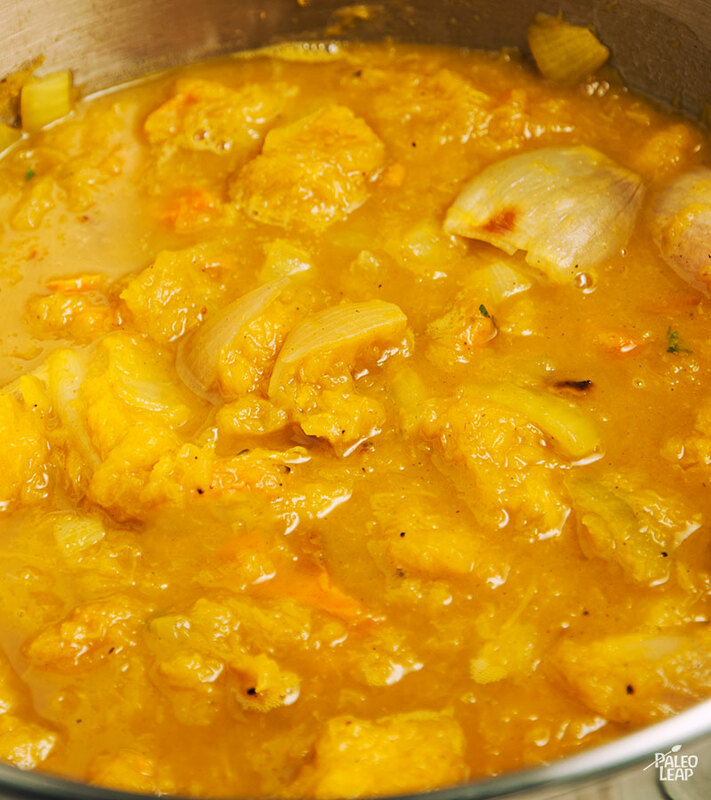 COOK: 1 h.
Place the halved squash on a baking sheet and bake in the preheated oven for 35 to 40 minutes. Melt some cooking fat in a saucepan placed over a medium-high heat. Sauté the onions and curry powder in the melted cooking fat until the onions are tender. Scoop out the flesh of the squash and add to the saucepan. Add the stock and nutmeg. Reduce to a simmer and cook for another 20 minutes. Using an immersion blender or food processor, blend the mixture until you get a smooth texture. Return to the pot. Stir in the coconut milk, season to taste, cook on low until heated through, and serve.